Avendus Capital advises Mswipe Technologies on its Series C raise from Falcon Edge, Olacabs, Meru Capital & existing investors Matrix Partners, Axis Bank & DSG Consumer Partners. Mswipe Technologies Pvt Ltd has raised a Series C round of $25 million from Falcon Edge, Olacabs, Meru Capital and existing investors Matrix Partners, Axis Bank and DSG. Mswipe will use this fund to scale up, for product development and to expand internationally. India is estimated to have 12-15 million SMEs, out of which less than 500,000 have access to any type of POS. Mobile POS (MPOS) provides the most efficient way to link these SMEs to mainstream financial services. Backed by a favorable eco-system, Indian mobile POS market is set to grow. Mswipe is India’s leading MPOS solution provider. Mswipe primarily targets SMEs without access to any type of POS. It’s India’s 5 th largest merchant acquirer. It’s end to end payment solutions and card acceptance is unmatched by any competitor. Mswipe works with large financial institutions like Axis Bank as well as with smaller banks like Corporation Bank, SMVC Bank, Ratnakar bank etc. 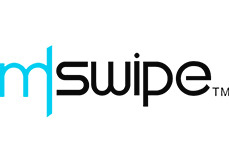 Mswipe also has international presence in Middle East, US and South East Asia through partnerships. “We believe in serving the smallest of merchants. Mswipe aims to provide seamless mobile POS solutions to one million merchants across 400 cities and towns. We invite all stakeholders in the financial services and technology ecosystem to partner with us to offer best in class financial services to small merchants” said Manish Patel, Founder and Managing Director, Mswipe. Founded in March 2011 by Mr. Manish Patel, Mswipe Technologies Pvt. Ltd is India’s leading mobile Point of Sale solution provider. Mswipe provides complete end to end software ecosystem encompassing merchant management, mobile app, transaction gateway, risk monitoring and settlement. Mswipe has a track record of delivering industry defining MPOS terminals and the company currently has over 30,000 merchants on board. Falcon Edge is a New York based hedge fund that primarily invests in global equity markets with a focus on emerging markets. The firm also invests its capital in private companies. Its notable investments in India include Olacabs, Housing, and Newshunt. Bangalore based Olacabs is India’s leading cab aggregator with more than 200,000+ cars across 100 cities. Its investors include Softbank, Matrix Partners, Tiger Global, Steadview Capital, and Sequoia Capital. Founded in 1977, Matrix Partners is a US based private equity investment firm focusing on venture capital investments. The firm invests in seed and early stage companies in the United States and India, particularly in the software, communications, semiconductors, data storage, Internet or wireless sectors. The firm has offices in Waltham, Massachusetts, Palo Alto, California, Mumbai, India and Beijing, China. Matrix Partners’ notable investments in India include Olacabs, Quikr, StayZilla, TinyOwl, Practo, and Newshunt. Deepak Shahdadpuri led DSG is an investment holding company that invests in businesses in consumer sector. Its prior investments in India include Sula Vineyards, Bakers Circle and Cleartrip. Axis Bank is one of India’s largest banks. Axis offers services in retail banking, corporate and investment banking, and investment management.